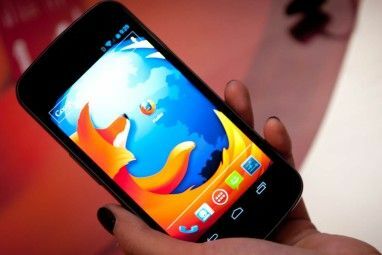 If you want to feel like a secret agent online, one of the easiest ways is to change your browser’s user agent. The Internet is not the static entity it once was — once upon a time, websites didn’t care which browser you were using, and simply showed you their pages. In today’s world with so many different operating systems Which Operating System Should You Choose for Your Next PC Which Operating System Should You Choose for Your Next PC Buying a new PC? You have more operating system choices than ever. Which should you choose? We'll give you an overview, along with advantages and disadvantages. Spoiler: There's no one best option! Read More , browsers, and mobile screen sizes, however, this doesn’t cut it. Browser agents tell websites about your computer and which browser you’re using, but they can be easily manipulated. So you can change your browser’s user agent, but why would you want to? After all, you can always go install another browser if you want to use it, right? Here are some situations where changing your user agent could prove to be fun, useful, or just plain convenient. 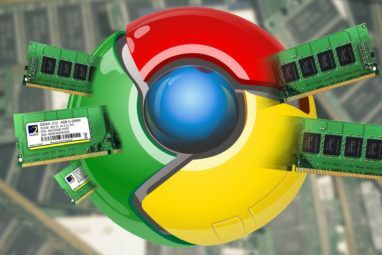 We’ve already covered in detail how to switch your browser agent on Chrome How To Trick Websites By Changing Your User Agent [Chrome] How To Trick Websites By Changing Your User Agent [Chrome] Fool websites into thinking you're using a different web browser or device. Whether you want to trick that ancient IE-only website into letting you in or explore what the web looks like for iPhone users,... Read More and how to change browser agents on Firefox Impersonate Other Browsers With User Agent Switcher [Firefox] Impersonate Other Browsers With User Agent Switcher [Firefox] The User Agent Switcher extension is a secret agent in disguise for Firefox. You can put on your IE hat and slip past virtual bouncers into Internet Explorer-only websites; blend in as an iPhone and... Read More , as well, so I’ll only mention briefly how to get it up and running here. If you’re not impressed with the initial choices in one of these extensions, note that most of them allow you to import more profiles. 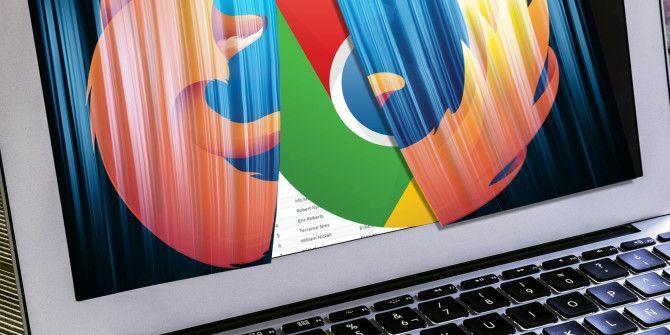 Browser extensions are the easiest way — User-Agent Switcher for Chrome is popular but doesn’t offer many options. The similarly-named User-Agent Switcher for Google Chrome gives more choices but has been reported to hijack affiliate links, so it is not recommended as it steals revenue from those who rightfully deserve it It's About Ethics in Stealing Games Journalism: Why AdBlock Needs to Die It's About Ethics in Stealing Games Journalism: Why AdBlock Needs to Die A simple, free browser plugin killed Joystiq – and is ruining the Internet. Read More . If you need the extended options, User-Agent Switcher is a good choice, though it’s not as polished as the others. For Firefox, User-Agent Switcher [No Longer Available] or User Agent Overrider are both good choices. Note that User Agent Switcher (the name is quite similar to the one I recommend) comes from the same developer as the extension that hijacks affiliate links in Chrome, so you should avoid this one. If you’re developing a website (or just learning about website development Want to Learn Web Design? 7 YouTube Channels to Get You Started Want to Learn Web Design? 7 YouTube Channels to Get You Started YouTube has thousands of videos and channels for web design beginners. Here we look at some of the best ones for getting started. Read More ), it’s important to make sure your site looks good and functions properly in a variety of browsers How Do Browsers Display Web Pages, and Why Don't They Ever Look the Same? How Do Browsers Display Web Pages, and Why Don't They Ever Look the Same? Read More . While swapping your agent can’t accommodate every possible real-world situation, it lets you get a lot of testing done in a fraction of the time. You can test Chrome, Firefox, Edge, and Internet Explorer just fine on your own, but what about if you don’t have a Mac to test Safari on, or you don’t have an Android tablet to test mobile versions of the page? Further, if backwards compatibility is important for your page, swapping your agent to IE 6 is a lot easier than installing a copy of IE 6 How to Download Internet Explorer 6 (If You Really Need To) How to Download Internet Explorer 6 (If You Really Need To) There are still some people who use Internet Explorer 6 to this day, and they've got some valid reasons. Here's how you can use it if you need to. Read More or other ancient browsers manually. 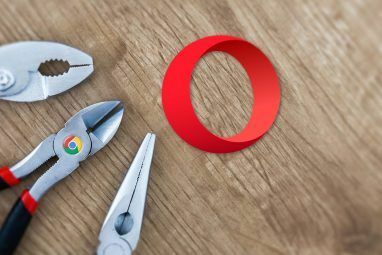 Whether for efficiency or because you don’t own some of the devices needed to test your site, seeing how your site looks in a variety of browsers can be done easily using this method. On a lot of sites, the mobile version offers a slimmed-down amount of content so not to overwhelm those using a mobile data connection Saving Mobile Data: 5 Clever Ways To Reduce Data Usage Saving Mobile Data: 5 Clever Ways To Reduce Data Usage If you’re on a limited mobile data plan, you may find opening your bill to be harrowing experience. Is there an overage charge? How much? And why was there so much data used? While the... Read More . Many mobile browsers offer you the option to view the full desktop site instead, but it’s not as common to see a desktop page offer you their mobile flavor. The default settings on Windows 10 gives you such a crappy experience on a limited internet connection, no wonder people complain. By changing your user agent to act as a mobile browser, you can force this change the next time you’re using your phone as a mobile hotspot Tethering: How to Connect Mobile Internet to Your PC or Laptop Tethering: How to Connect Mobile Internet to Your PC or Laptop With data tethering, you can use your mobile internet on your PC, laptop, or tablet anywhere. All you need is an Android phone. Read More or on an otherwise limited connection. Browsing mobile versions of pages ensures you only get the basics and aren’t wasting data on multimedia or other large items being downloaded. Try it out and see if it saves you some data! It’s not as common as it used to be, but at times you’ll come across websites that tell you Chrome doesn’t work with their site, or you have to be using IE, or similar warnings. If you know the site works just fine in whatever browser you’re using, you can swap out the agent for one of those to oblige the website and keep doing what you were doing. At one time, another use for this could have been viewing the Apple event livestream, which was previously only available for those using Safari. Recently, though. Apple has made them available to Windows 10 users running Edge How to Set Up Microsoft Edge, the Default Browser in Windows 10 How to Set Up Microsoft Edge, the Default Browser in Windows 10 Microsoft's new Internet browser Edge made its first appearance in Windows 10 Insider Preview. It's still rough around the edges, but sleek and fast. We show you how to migrate and set it up. Read More , meaning that this isn’t as much of a problem anymore. You’ll know that you’re armed if you do encounter a stubborn site, though. Our internal website "works best with Internet Explorer" (ie. some things only work with IE). I'm also sending this tweet from 1995. Note that this doesn’t work if a website is truly IE-only because it uses archaic ActiveX controls or something similar. For those times, you’ll want to use IETab to run IE inside of Chrome Use Internet Explorer in Google Chrome With IE Tab Use Internet Explorer in Google Chrome With IE Tab Internet Explorer users and IE-only websites still exist, so even Chrome fans have to use IE occasionally. Why bother launching Internet Explorer when you can run it in a browser tab? IE Tab is ideal... Read More . In the reviews for user agent switching extensions, you might see a few people complain that they use the apps to get around sites that block specific operating systems! While this is completely ridiculous, you might run into a site or two that complains about you using Linux. If this happens, you can just slip right into your Internet Explorer disguise and the site will think you’re on Windows. If you’re still using Windows XP Why Windows XP Won't Be Going Away Anytime Soon Why Windows XP Won't Be Going Away Anytime Soon People cannot let go of Windows XP. In businesses and homes the world over, it will stick around. We spoke with three Windows XP users from different generations and backgrounds to find out why. Read More despite over two years of it being unsupported, you might see sites alert you that Windows XP is unsupported or maybe your browser has become out of date Which Browser Is Most Secure on Your Old Windows XP System? Which Browser Is Most Secure on Your Old Windows XP System? Windows XP remains a risky OS for surfing the web. The best thing you can do is ditch Internet Explorer. We'll show you the best browsers for Windows XP. Read More since it’s not being updated for XP anymore. We recommend jumping ship to a modern operating system, but you could try swapping your user agent to squeeze a little more life out of Windows XP How to Tweak Windows XP and Stop Worrying About the Apocalypse How to Tweak Windows XP and Stop Worrying About the Apocalypse Are you forced to stay with Windows XP? Using an unsupported operating system is risky, but don't despair! We show you how you can carry on running Windows XP, if you must. Read More . Are the above options too boring for you? If so, you can still use agent switching just to have a bit of fun. Tip: If you can't access desktop Twitter on your mobile device, download 1Password and change the 1Browser User Agent to Chrome. If you’ve used Windows all your life, you can jump around some sites and see if they look any different when using Mac or Linux. Or, go around and see how many sites still support IE 6 and how many block you from using the outdated browser. Some browser-switching agents even allow you to pose as Googlebot, the robots Google uses to crawl and index the Web 7 Crucial Tips: How to get Your Blog Listed in Google 7 Crucial Tips: How to get Your Blog Listed in Google A wise man man once asked "if a website exists in the forest of the Internet and no one visits it, does it truly exist?". I made that up actually, but the point is solid... Read More . It could be interesting to see what content sites serve to the bots! Seeing the web from a different perspective 3 Things I Wish I'd Known Before Switching To Safari 3 Things I Wish I'd Known Before Switching To Safari It's not easy to switch browsers, but unperturbed, I launched myself into the world of Steve Jobs – iTunes, iWork, iCloud, and, significantly – Safari. Here's what I wish I'd known first. Read More could be enjoyable once in a while, even if you can’t get much practical use out of it. So there are a few reasons for your to switch your user agent, after all. They won’t all be relevant for everyone and it’s not something you’ll probably need to do often, but it comes in handy at times. Don’t let webpages assume anything about you if you don’t want them to — you have the power to change that! Interested in more web spoofing? Learn how to create fake website screenshots How To Create Fake Website Screenshots With Firebug How To Create Fake Website Screenshots With Firebug When you think of faked or edited screenshots, programs like Photoshop probably pop into your mind. I've never been very creative when it comes to design and graphical work, so that's nearly out of the... Read More in just a few minutes. What are your favorite reasons for switching your user agent? Add your methods in the comments below to make the list even better! Think of all the statistics that are going down the tube as more and more people develop stuff like this. Love it! Let me explain. We all know the usual tools for Youtube, Vimeo, and other big names. One basically just uses the youtube-dl script or similar programs to grab their videos, however there are many less known sites for which there is no specialized tool. Although there are some websites that embed a simple MP4 video or something like that, many other use F4M streams (Adobe HDS) hidden inside Flash Player. However, if you use a mobile user-agent string you can see the mobile website and usually find out a M3U8 stream URL (aka HLS) which is much easier to record (either with ffmpeg or VLC). I use this technique all the time and I applied it as a base for developing my little script to download BBC iPlayer videos.